wing/squadron. This identification system was used until 1967. It consisted of 2 letter and 3 numbers, with the Iron Cross (Eiserne Kreuz) in between. This system was not used by the WaSLw 10 ! ND+110 Display aircraft for exhibition "Unsere Luftwaffe"
In 1967/68 the system was changed to the new German serial numbers (tactical). The change was ordered on November 13, 1967. The change of the coding on the aircraft was done in 1968 over a timeframe of several month! Four numbers starting at 20+01 to 29+21 were assigned to the individual aircraft and not the unit anymore. Between number 2 and 3 was the well known Iron Cross (Eiserne Kreuz). This system is still in use as of today. 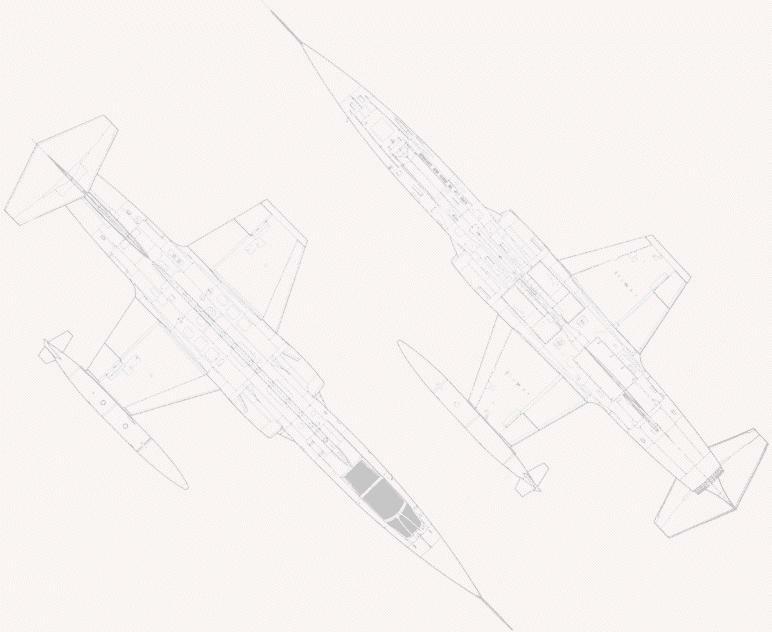 Example: F-104G construction number 2043 became serial number 2036 coded as 20+36. Example: F-104G construction number 2077, crashed coded as DC+119 1967.
but it was never used or seen on the aircraft! The aircraft was coded as 13251. Example:F-104G construction number 2032, US serial number 63-13248, crashed 1965 coded as 13248. The codes BG+101 until BG+148 were used by the MatAmt (German Logistic Command) for the transfer from Germany to the Lockheed factory at Palmdale, USA for re-assembly. The plan was to code the German F-104 operating at Luke with "BG" codes, but this was not legal according to USAF regulations. That means that the "BG" code was used ONLY on paper and was never seen on an aircraft. The codes KC+101 until KC+116 were reserved for the Fiat G-91 T.3's with construction numbers 91-2-0001 until 91-2-9916. Only the first G-91 was coded that way during the test flights at Turin-Caselle. That is why the F-104G were coded starting with KC+117. Initially the Lockheed production code was DA (not to be mixed up with the JaboG 31 code). Construction numbers 2001 to 2024 were coded DA+101 to DA+121. Construction numbers 2025 to 2097 were coded KF+101 to KF+172.